Your tires are arguably the most important part of your vehicle. They’re the connection with the ground, the part you depend on to help you get from one place to another. At Good Tire, we offer a full line of top-quality wheel and tire services. We offer the best tire and wheel products available today and can help you with any tire or wheel needs you might have. Take a look at our products online or give us a call to get more help so you can keep your vehicle safe on the road. When tires are under-inflated, they can be risky to drive on because of the risk of a blowout. 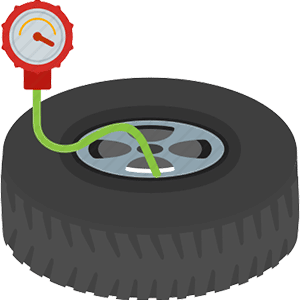 We offer air pressure checks and refills to ensure your tires are properly inflated and ready to be used. This not only keeps you safe on the road but can help extend the tread life for your tires and boost your vehicle’s fuel efficiency. You don’t need to have an appointment for this service. You can simply drive up and ask for help. Modern cars are equipped with TPMS or a tire pressure monitoring system. This lets you know if your tires are under-inflated so they can be refilled. If this system is not working properly, you may not know when your tires are under-inflated or when one may be starting to go flat. It can be risky to drive on under-inflated tires and your vehicle won’t be getting the best mileage possible. At Good Tire, we offer no-obligation TPMS checks to all our customers. If the TPMS system isn’t working properly, we can discuss replacement options with you. Vibrations can happen when your vehicle’s tires are not balanced. This can lead to uneven treat wear and your tires wearing out before they should. We offer tire rotation and balancing to maintain even tread on the tires and to make sure your tires last as long as possible. When you purchase tires from us a Good Tire, you get tire rotation and balancing for the life of the tires. Regular tire inspections help ensure your vehicle’s tires are in working condition. At Good Tire, we can check for uneven tread wear, punctures, leaks, sidewall damage, and any other issues your tire may have. If we uncover any issues, we can let you know about them. If your tire is flat, we can do the repair for you if possible or let you know about replacement options for your vehicle. When winter arrives, you need winter tires to handle the tough driving conditions. Good Tire offers tire changeover services to remove summer tires and install winter tires. This helps keep you and your family safe when the weather is icy or snowy. If you prefer winter tires with studs, our team can install the tire studs as needed. This helps prevent sliding in icy and snowy conditions, something you may want to consider if you need to drive a lot in adverse conditions. 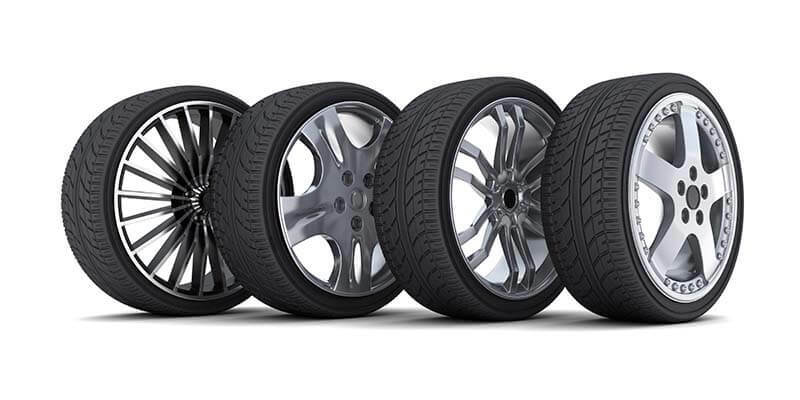 Along with providing a number of tire services to keep your vehicle safe on the road, we also offer wheel and tire packages to make purchasing new tires easier. Simply check out our products online to learn more about the options available or contact us to learn about any specials we’re offering. Whether you need 1, 2 or 4 new tires for your vehicle, we have exactly what you need and can have them installed for you quickly. If you’re looking for a full set of rims, we can get them on your vehicle and have you ready to go again in no time. Your vehicle’s tires are all that stand between your vehicle and the road, so it’s important you keep them in excellent shape, especially in adverse weather conditions. At Good Tire, we offer alignments, tire repairs, tire balancing, rotation services, changeovers, and more to ensure your tires stay in the best shape possible. We also offer wheel/rim and tire packages if you ever need new tires so you can purchase the best tires for your vehicle. Once you get new tires from us, we can let you know about the maintenance options you’ll want to come in for as well as help if they ever need any repairs. Check out our products online now or stop by to get the services you need to keep your tires in great shape. Get a free appraisal within minutes when you come on in and see us!